Plush Long Arm Elves. Fun holiday gifts for both boys and girls! 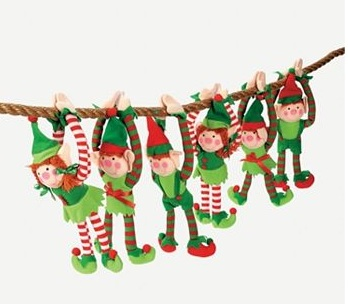 Celebrate Christmas with all your little helpers by giving them each an elf of their own! These long arm dolls have touch fasteners on their hands. Measures 11" Price per item.